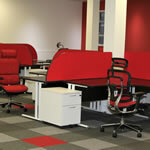 The client chose red mesh Ergohuman chairs to coordinate with the red desk screen dividers in the open plan office area. The 4-legged Lii chairs in black mesh within the client’s conference room. 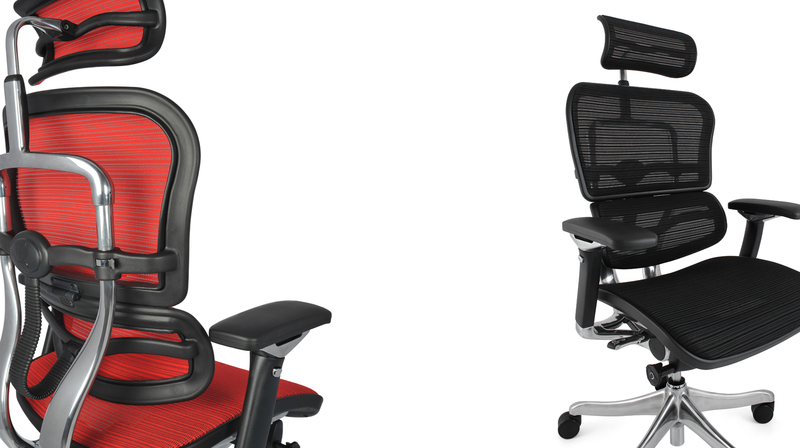 The versatile Lii chair can be used as a guest or visitor chair for the executive office. 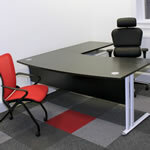 Shown here with the Ergohuman in black leather in a client’s refurbished office. 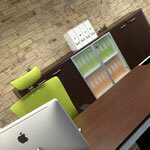 In this situation the client chose the Nefil chairs in green mesh to coordinate with their wenge desks.